Being invited to represent netlogx at networking events is one of my favorite things. Whether it’s a panel discussion hosted by Barnes & Thornburg or a luncheon at the JW Marriott, networking events have not yet disappointed. 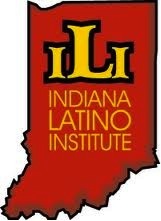 Recently, I went to the first annual Indiana Latino Institute Luncheon (ILI) with a co-worker. For the first ever annual luncheon, the JW Marriott event room was packed – leaving me with the only logical conclusion that the ILI is an important and well-respected organization. The luncheon that followed proved my conclusion to be fact. Marlene Dotson, the ILI President and CEO, spoke to the growth of the ILI and to the successes of the ILI in its core initiatives of Health, Education, Advocacy, and Research. Governor Mike Pence gave an engaging and moving speech based upon Hoosier pride and more importantly pride in a nation comprised of immigrants. He even opened his speech with a comedic story – I had no clue our Governor is so funny! The Indiana Latino Institute is the kind of innovative and meaningful organization that we love to watch and support. I look forward to hearing about what the ILI does in 2014 at the second annual luncheon.